How much material is needed? 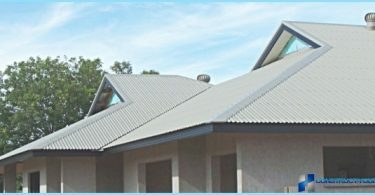 If your home requires a roof, having an attractive and sophisticated look at a relatively low cost, the roof is made of corrugated board - cold-rolled galvanized steel sheet coated with colored polymer materials - this is what you need. relatively low price with high aesthetic qualities. color coating, suitable for an existing or projected exterior of the house. The price of corrugated board depends on several parameters of the material. Simple Shed or gable roof cottagehouse, summer kitchen or garage to cover their own do not make the big work with one or two assistants and some skills of working with screwdriver and jigsaw. 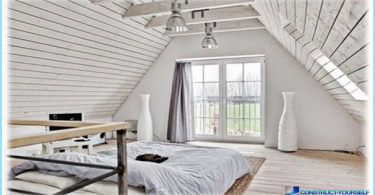 The broken gable roof with loft home will also be a force for self-study. It helps in this video. If the roof frame of a more complex configuration, you should invite experienced specialists to cover the roof of the floorings. The price of the work will depend on the complexity of the roof area and stingrays. Calculate the amount of material for pentor gable roof, knowing the sizes of skates, is not difficult. 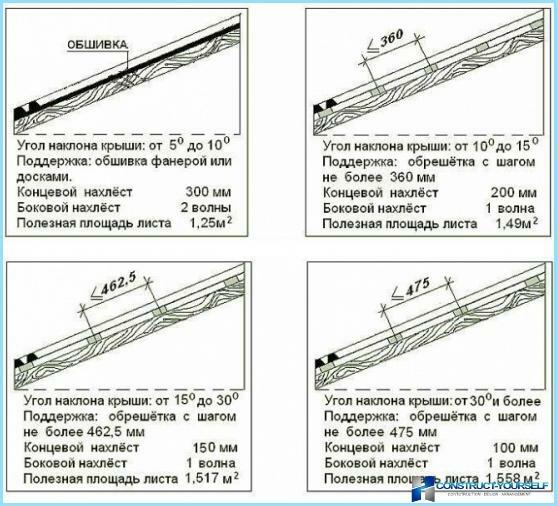 If the ramp length of 12 m or less, the width of the ramp should be divided by the width of the material, the resulting number of pages increased by 15%. 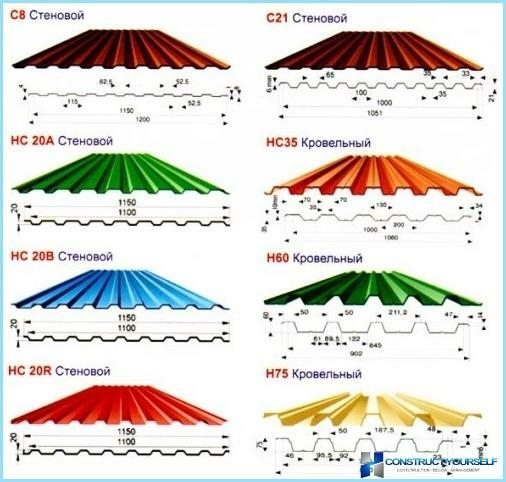 For more complex roofing can calculatecorrugated roof online for special programs. Programs can not only accurately determine the maximum amount of material, but also will calculate the slope of the roof, the size of the overlap, will determine the best option arrangement and fixing of profiled sheet. steel washers and rubber or elastomeric gasket attached to the screw. Perform the best four, so you get faster. Two people can also handle, but alone to work with long sheets of corrugated board is very difficult. The minimum angle of slope of the roof 10about. At a lower value of the angle of slope water can fall under the material. 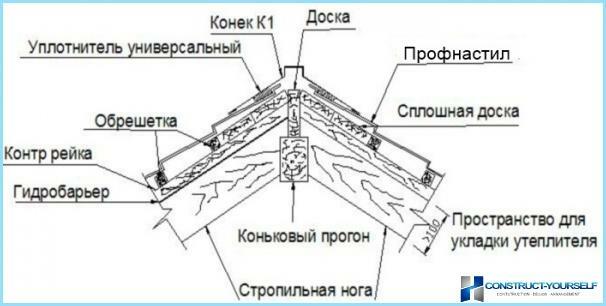 The standard length of 12 m trapezoidal sheet. If the ramp length is less than or greater than, the sheets have to be cut off. To protect against corrosion of corrugated board should make waterproofing and vapor barrier on the crate. 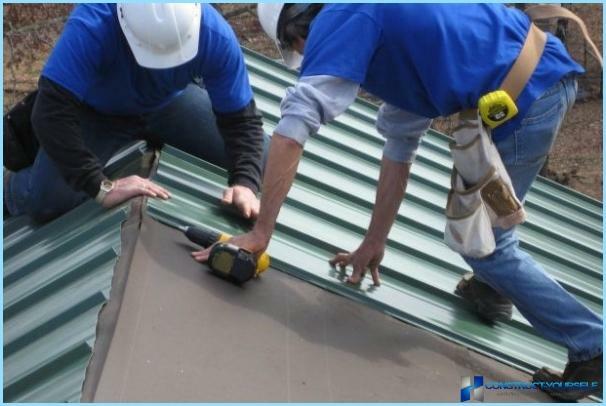 An important step in the installation of a roof of corrugated board is the organization of hydro and vapor barrier to protect the metal from corrosion in the presence of water vapor. 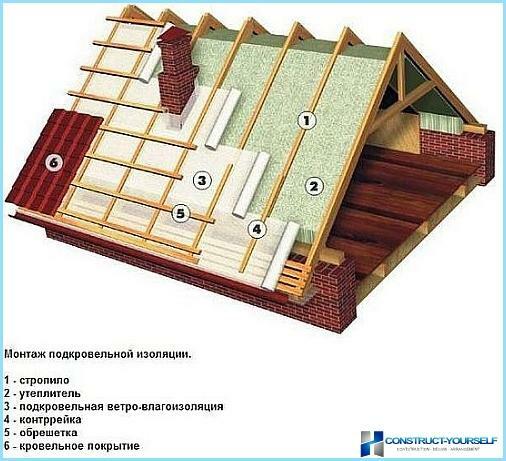 Organization ventilated roof, creatingventilated space between the layer of waterproofing and roofing material. To do this, set along the rafters waterproofing false rafters of the bars on them doing crate, get a layer cake: rafters, waterproofing, false rafters, purlins, trapezoidal sheet. Important! All elements of the crates be sure to soak all sides antiseptic composition for wood. This will prolong the life of the roof. Batten boards are laid with a pitch of 0.5-1.0 mattaching them with nails or screws to the rafters. The thicker and durable decking is used, the greater the distance between the boards lathing. 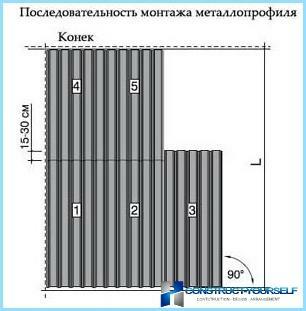 For example, for trapezoidal sheet grade SN35 step crates of 0.5-0.6 m, for SN44 -. 0.65-0.75 m distance greater than 1 m between the boards should not be done. Having crate, you need to check the diagonal slope and level the slope on the rows, columns, diagonals. This will greatly facilitate the work on laying the sheeting on the crate. Steel sheet stack from the bottom up, starting atramp from the side of the building, from left to right or right to left - it all depends on which side of the sheet manufacturer has made capillary groove. When laying the material groove to be closed next wave sheet. 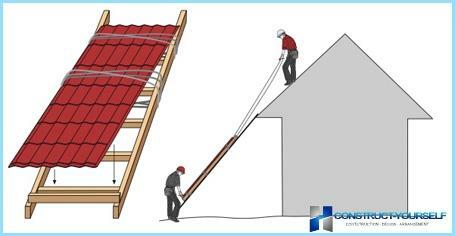 The size of the overlap profiled sheet on the horizontal andvertically it depends on the angle of slope of the roof. At small values ​​of slope inclination overlapping sheets are placed in two vertical wave at high values ​​- in one or half wavelength. Overlap horizontal slope of at least 10 cm. The first row is laid with the departure of 30-50 cm above the overhang (the distance depends on the design of drainage system). The joints between the steel sheet is sealed with a special tape. The sheet of the second row is placed over the face of the offset half of the width. If there are 2 or more people to lift a sheet. They are placed on the frame of 5-6 bars bundles of 5-10 pieces and inclined board, the oversight of the crate, the rope tightened up. In the crate to the sheetsrolled, beat one or two of the bar from the bottom and put a stack of sheets covering. So work is much easier than feeding one, although this method is also used. Sheets fastened to the sheathing screws with washers andsealing gaskets. Their number is not more than 6-10 pieces per 1 sq.m. flooring. On the slope of the screws are screwed into the bottom and on the ridge - in the upper wave plate. 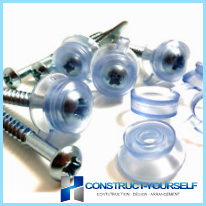 If the material is thin, simply screwed screwsscrewdriver, they easily pass through without damaging the coating. In the thick steel sheets at fixing them to the crate advisable to pre layout and drill to drill holes for the screws. Important! It is necessary to precisely align and properly install the very first leaf of it will depend on the quality of the work. The first sheet is first fixed in the middle with one screw and carefully align the overhang of the eaves and the position of the vertical battens. After that, he secured a second screw. For the upper and lower boards lathing material are fixed by screwing screws in each wave trough, the central board - after the deflection. The second series is placed on height offset sheet right or left half width. 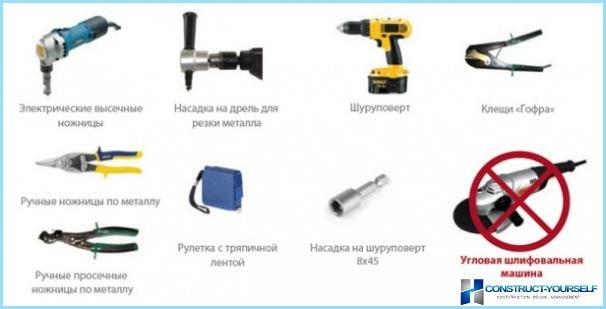 Cut steel sheet electric saw, hacksaw or jigsaw with a metal nail file. They do it on the ground. Attention! steel sheet can not be cut grinder. This will destroy the polymer coating. Cutting should be applied on metal scissors and cuts paint paint. Horizontal joints are also sealed with tape. Screws in the joint it is screwed into each well of the wave. Rubber sealing washer should protrude 1-2 mm on the perimeter of the screw head, it indicates that it is not pinched or tightened slightly. U-shaped with a rib and flanges of the same size. U-shaped skate is attached to the bar, which is specially set for him on the ridge of the roof. The roof of corrugated board will delight you with itsbeauty and proud excellent work done by hand. The money saved on it can be spent on the production of the original weathervane, which will decorate the house.